In a small town called Heeze, in the province of Brabant, you will find family business Van Engelen & Evers. This family owned business has been in the weaving industry since 1900 and is mainly known for their outstanding and high detailed woven products. 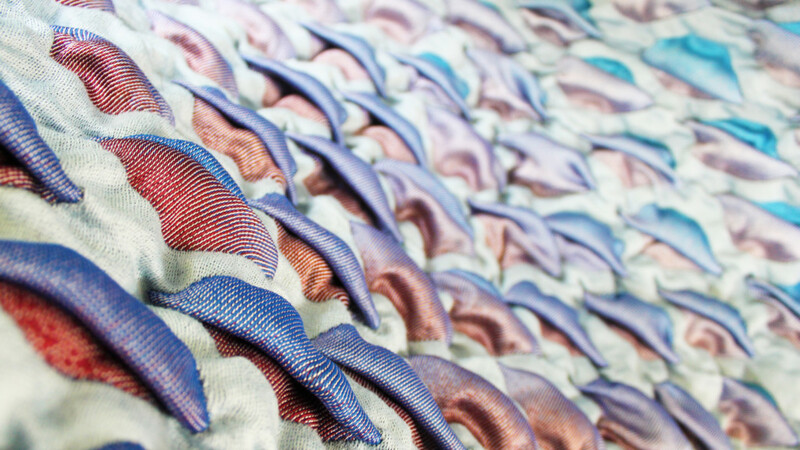 In 2013 their textile workshop received even more recognition under the name EE Exclusives. In collaboration with designers from the all corners of the world, EE Exclusives produces high quality and custom-made jacquard fabrics. These can be used as wall decoration, in fashion, in interior design and as art. In their impressive studio, both fabrics and end products are being produced. At HOW&WOW – Studio, EE Exclusives showcases a selection of their 3D-printed novelties.